And here on my desk this week sits album No.3 from Bob Menzies entitled "Citizens of Nashville. A man who has won me over not just by being a great songwriter but by being a prolific one. By improving his muse every time he steps foot in the studio he has turned baby steps into giant leaps. He doesn’t stop traveling – physically and musically. And it allows him more fodder for his restless mind. For his latest outing he has gone directly to Nashville to punch up his latent country leanings and folk storytelling. On board are Eddie Bayers (drums), Kelly Back (electric guitar), Howard ‘The Duckman’ Duck (keyboards), Scotty Sanders (pedal steel, dobro), Kevin ‘Swine’ Grantt (bass) and Mike Rojas (keyboards, organ). Add Bob’s own acoustic guitar playing prowess and vibrant vocals and you’ve got a hot combination before the first notes are even played. A great album of songs it is, too, courtesy of Nashville producer/musician Larry Beaird (Dolly Parton, Billy Dean, Mark O’Connor). Bob makes no bones about his nervousness at being amongst legends in the confessional track “I’ve Never Been To Nashville”’, but by the ease in which the songs like “You can’t Go Home Again” and “Follow Me Down” come across you’d never know. That would come from the pre-production they did in Clarksdale, Mississippi at the Hopson Plantation where Bob’s songs – all pre-written – would take on a new life through the prism of Nashville’s magic. and “One More Highway” https://www.youtube.com/watch?v=ZSPsh0clx-U). 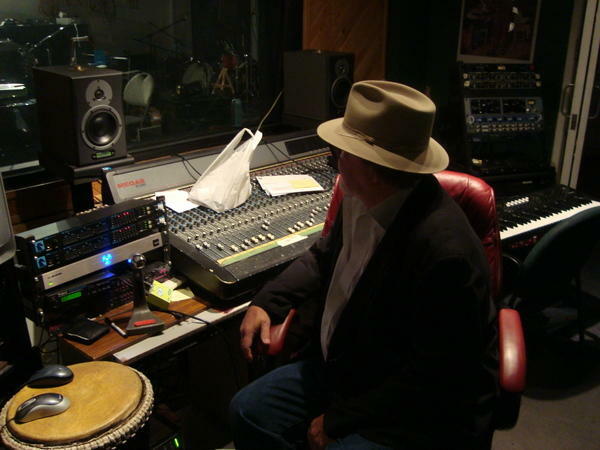 Bob makes each song personal and descriptive – a workaday approach to lyrics that are refreshing and unpretentious. 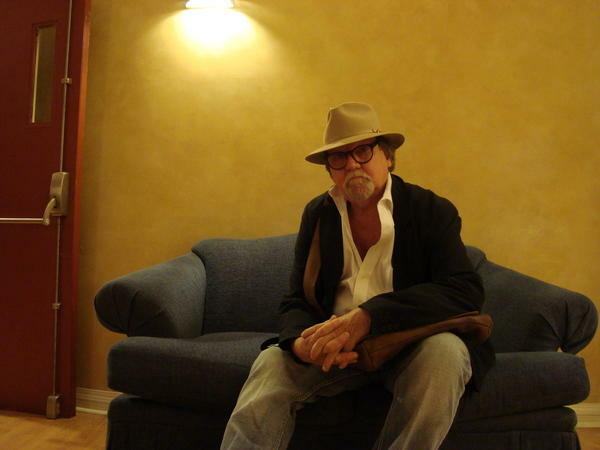 the final recorded keyboard, violin, and accordion tracks by the late James Gray. One More Highway is a fitting title indeed for Bob Menzies' second recording. An inveterate wanderer who's learned his share of life's lessons on treks that have taken him around the globe, he remains a restless spirit. Many of the songs on One More Highway deal with the theme of travel, whether literal or metaphorical. Menzies' music would probably best be described as folk-rock, but the blues and good ol' rock 'n' roll are evident as well. Don't call it Americana, though - Menzies was born in Holland, raised in Montreal, and has worked in Germany, London, and California. So while the musical forms are familiar enough, there's a worldly wisdom here, a sense that Menzies' true home is global indeed. "Black Widow Spider" is a freewheeling yarn of unrequited love that sounds like a lost Dylan tune (yes, it's that good), and the hook-heavy title track, an anthemic celebration of restlessness, deals with the irresistible urge to keep moving, to travel "one more highway ...". Production is exemplary, rich and full, with Menzies' craggy but thoroughly convincing voice front and center; what he lacks in polish, he makes up for with unadorned honesty. The band includes producer Russell Gray on guitars and ebow (used to coax otherwise unobtainable tones from an electric guitar) and James Gray (no relation) on keys, violin, and accordion. (The latter, formerly of Canadian country-rock institution Blue Rodeo, passed away shortly after these sessions were recorded). What it comes down to, though, are the songs, and here Menzies is a master craftsman. They're all catchy, with sing-along choruses and genuinely infectious melodies. But there's wisdom here, too. Menzies knows there are no answers, really, and the search is what matters in the end; be thankful for life's grace notes, but never, ever stop seeking. As he sings on the title track, "We're only young for a minute ..."
This is wise and wonderful stuff, highly recommended. Meanwhile, there are still artists who are heaving into their twilight with as much grace as they can muster in a world obsessed with youth and yoga pants. This week I received a great new CD from Bob Menziesof Toronto. I must admit that I didn’t know what to expect from a guy who has been a world traveler doing the work of Everyman and finally settling down in his prime to produce a fantastic debut album nearly a year in the production – but a lifetime in the writing. 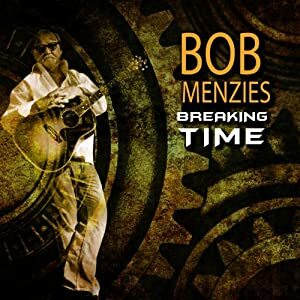 Generally, I don’t go much for Dylanesque artists, but Bob (Menzies) has shaken me out of my dislike for the Mumbling One by not only articulating with a strong and confident voice, but writing songs that are relatable and accessible to any listener. Menzies also delivers the tunes with a slight country edge as slide guitars permeate many tracks. The disc is heartfelt and stand-out tracks include “Hey Now Joe” https://www.youtube.com/watch?v=x1QAZa4lNcU, “Bitter Wind” (which should be sent to radio pronto! ), “Crazy Town” (about Menzies’ experience working in a mine), and “Happy Birthday My Friend”. Bonus points for including his biography in the CD booklet itself and great production by Studio 92 guru Mark Nakamura and Brett MacMillan.